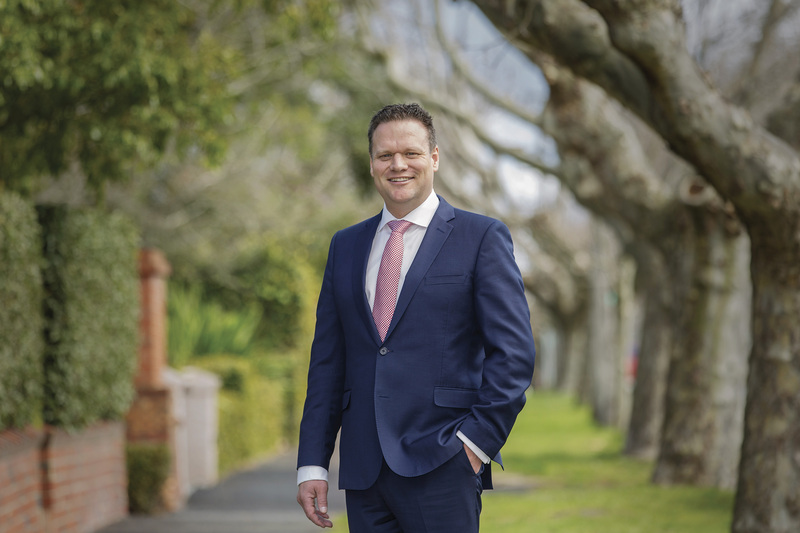 Born and bred in Hawthorn, a former Xavier College student and happily residing in the local area, Chris Barrett brings a wealth of local knowledge to his role as Senior Sales Consultant at Marshall White. His infectious enthusiasm and vibrant personality are unmistakable. Combine this with a background in Commerce, his Residential Sales experience since 2000 and Chris is clearly the consummate professional. Motivated by his integrity and dedication, Chris strives to provide outstanding personal service making sure his clients' experiences are positive. He has a particular passion for building strong relationships and bringing buyer and seller together in a smooth and successful transaction. With his competitive nature, Chris revels in the fast pace and ever-emerging challenges presented by today's industry yet realises the importance of solid, professional guidance based on traditional values. When time allows, Chris loves to indulge in his favourite Pastimes; water skiing and tennis. A proud member of the Kooyong Lawn Tennis Club, Chris also enjoys watching the Old Xaverians' football matches after his busy Saturdays. “With our home being in the family for over 100 years, the choice of real estate agent was not taken lightly. Chris Barrett from Marshall White stood out. From our very first meeting, at very short notice, Chris and Lisa left no stone unturned to satisfy our needs. Coming from a large family and living in the country, the best way to communicate was through email which I could then forward on. After every inspection the information was excellent. We were very pleased with the result at auction and would not hesitate in recommending Chris Barrett and Marshall White. We recently sold our home of 26 years through Marshall White. Chris Barrett was appointed our sales representative, how lucky we were. From our first meeting Chris showed enthusiasm for the sale, and confidence in getting a result, which he did... prior to auction. He knows the business and researches the area, the buyer interest and the market, with a thoroughness second to none. We would have no hesitation in recommending him to friends should they wish to sell in the future. Thankyou so much for your hard work which resulted in the successful sale of our home. Your after auction negotiation was outstanding and easily passed our reserve price. Your professional follow up and advice after every open for inspection was excellent. “I write this letter to thank you personally and the Marshall White team for your efforts in successfully selling my property. I was impressed with your level of professionalism from our first meeting. You may remember i cam e to you with what were unrealistic expectations for the sale of the property. You competently advised me of a more realistic outcome and used the combined experience of yourself and Marshall White to demonstrate the validity of your appraisal and predictions. I appreciated your transparency and regular updates throughout the campaign. I was never in doubt that your best efforts were being made to generate interest in the property, through advertising, open for inspections and private appointments for those potential buyers that wanted to see the property at various times of day and night. Your advice regarding price point, timing, furnishing and advertising schedule together with your enthusiasm and dedication culminated to deliver on all my hopes and your predictions. We sold at auction for a price exceeding the reserve. I would also like to thank who assisted you with the campaign and sale of the property. Lisa’s almost daily telephones calls and updates certainly kept the stress levels under control. I was completely at ease and comfortable throughout the entire process. Always aware of the state of play and never questioning my decision to contract you to sell my property. I would have no hesitation in using you again nor in recommending yourself and Marshall White to anybody considering selling a property through your organisation. Dear Chris, Fiona and I would like to take this opportunity to thank you and Antony for all your hard work in selling our property at 4/425 Barkers Rd, Kew. We were so impressed with the professionalism and communication shown throughout the whole process (from advertising, to inspections and weekly meetings), which certainly gave us the upmost confidence in what can be a stressful process. Your determination and commitment to get the best result possible for our property (often going beyond the call of duty) certainly paid off, and we could not have been happier with the result. On auction day your ability to generate significant competition for the property drove the price well beyond our expectations, and we believe this is only because of the hard work during the campaign and Antony's brilliant auctioneering. We will be recommending you to our friends and family in the future & we look forward to dealing with you again. Dear Chris, Thank you so much for all your work on our behalf. You did an amazing job and we are very grateful indeed. The Golz Family. My wife, Margaret McDonnell and I could not be happier with the service we received from Marshall White generally and Chris Barrett specifically after we decided to entrust them to sell our house in Riversdale Road, Hawthorn. We indicated to Chris that we did not want the property advertised but, if he was aware of parties who might be interested in purchasing it, we would welcome their interest. We provided Chris with a ballpark figure we would be prepared to sell for and, effectively left it up to him. Chris quickly identified a number of parties who were interested in our property and the sale was finalised within two weeks of putting it in his hands. Chris kept us fully informed about his negotiations with the interested parties on our behalf and Marg and I were thrilled that the sale was completed with a minimum amount of fuss and with absolute professionalism. We would not hesitate to recommend Marshall White and Chris Barrett to friends and colleagues when the opportunity arises. Chris Barrett (and David Volpato) were fantastic with our sale at 41/261 Domain Road South Yarra 3141. Chris was tremendously helpful and informative throughout the entire sales campaign and I imagine it was not easy dealing with 5 vendors on the sale of our property. Just to let you know my family and I are extremely happy with the level of service we received from Chris Barrett and we would not hesitate to recommend and use him again for any sales in the future.